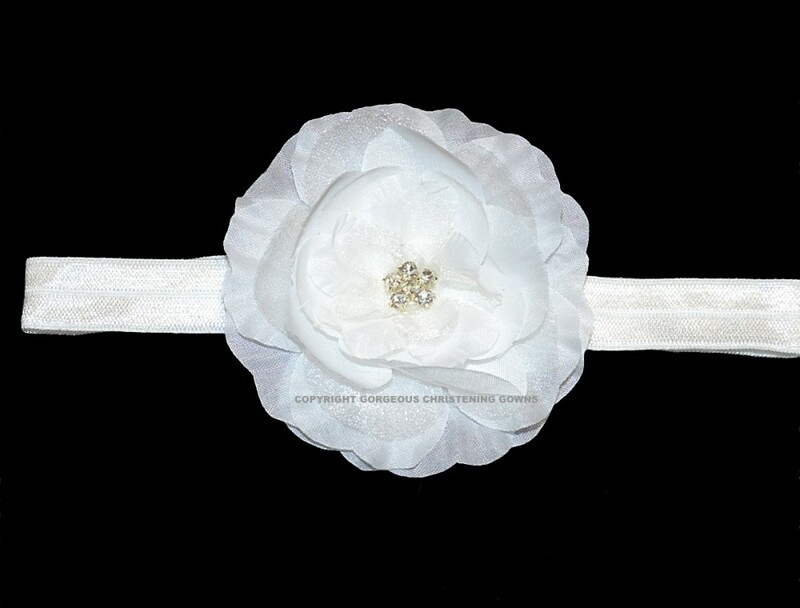 Gorgeous Christening Headband finished with white flower & embellished with crystals. 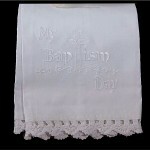 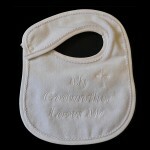 This Christening Headband looks stunning with any of the white christening gowns & dresses. 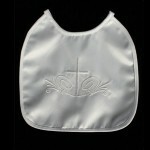 Stretchy elastic Baptism headband is designed to fit a baby though to tweens.